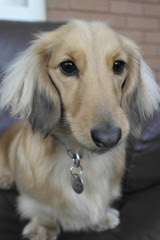 Let me introduce myself, my name's Mabel and I am a miniature cream shaded dachshund. I live with my owners Mummy & Mel (my second mummy) and my best friend is Alfie. He's a standard red shaded dachshund. Would you like to meet him? Ok. Here is a wonderful photo of him. What do you think? Handsome isn't he? You can hear all about how we first met and all the fun we had together in our new fantastic and exciting book "The Adventures of Magical Mabel" written by our Mummy, Wendy! with a little help from Mel & Emma Jo, who has captured us perfectly. Please check out my bookstore and as a special gift the first 100 customers to order my book will receive a special treat!!! NO not my dog treats!!!!! This is the second book in the series and these two adorable dachshunds will take you on quite an adventure to the Tower of London, the home to historical Kings and Queens of England. "It was a warm midsummer night. All was still and quiet, except for the owl that hooted in the distance. Everyone was fast asleep, so was Alfie, but Mabel was restless so she decided to sneak out into the garden for a breath of fresh air." 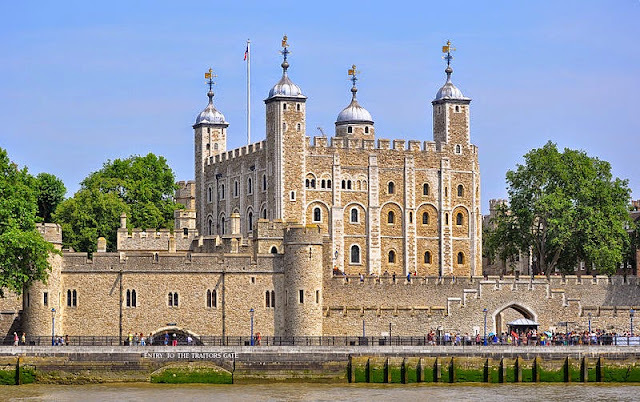 A perfectly normal midsummer night turns into one that is magical and mystical and sure to excite you as you are invited along to partake in a rollicking romp via motorcycle to visit the Tower of London. This is for you, it will look after you if you are ever in trouble. It will make you invisible so no one can see you, but be careful, it only works when you sneeze. So don't sneeze too often? Lots of love, your Guardian Angel, Clarence." Mabel puts on her new collar and is excited to wear it the next day on a scheduled trip to the Tower of London with her best friend Alfie and her beloved owner Ron. Will she need to sneeze and use her new collar power on her trip do you think? What kind of mischief could those two little doggies get into that would warrant them to become invisible? You will laugh as you join with these two curious, playful little canines as they explore a prohibited part of the Tower and figure out a way to escape (yes using that charmed collar), scamper back to their master as quickly as their short little legs will carry them and high-tail it home fast. "1. Check first before you borrow something that isn't yours. You don't want to get into trouble. 2. In busy places always stay with the grown up in charge." I know you will love this book and series. Wendy Clark is a children's author, her series of children's books are endearing and each book is beautifully illustrated and contains a moral at the end of each story. 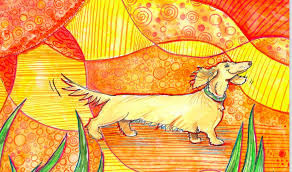 Her latest book, entitled "The Adventures of Magical Mabel" relays the exciting happenings of two lovable sausage dogs, Mabel and best friend Alfie. 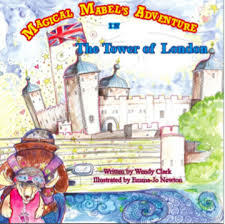 Check out "Meet Mabel" and you will see that they are real life characters. The Gary's Guardian Angel Series follow the main character, a Guardian Angel named Clarence. Entertaining and beautifully illustrated, these books are suitable for children aged 4-10 years. They have also been used to help children after suffering a bereavement. Visit 'Mabel's Bookstore' & 'Guardian Angel Bookstore' to view the series of Wendy's books, and to buy online. Wendy Clark also works as a spiritual medium and healer. In her autobiography 'The Moulding of a Life' which was her first book, she explains how her journey through life altered drastically after the death of her first child. 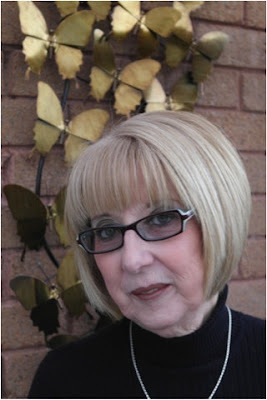 Her story on her spiritual experiences are truly fascinating, and have received excellent reviews by her readers.